The St. John Paul II community wholeheartedly endorsed the participation of our students in the Terry Fox Run/Walk on Friday, September 29th. Students gathered in the gym for prayer and a motivating video. They did a ’warm-up’ and headed out on their walk. Thank you for your support! We congratulate the students for their enthusiasm and participation in this tremendous endeavour. 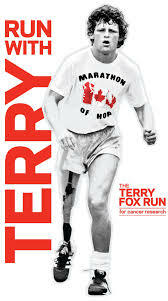 A special ... Continue reading "Terry Fox Walk ~ Sept. 29th"